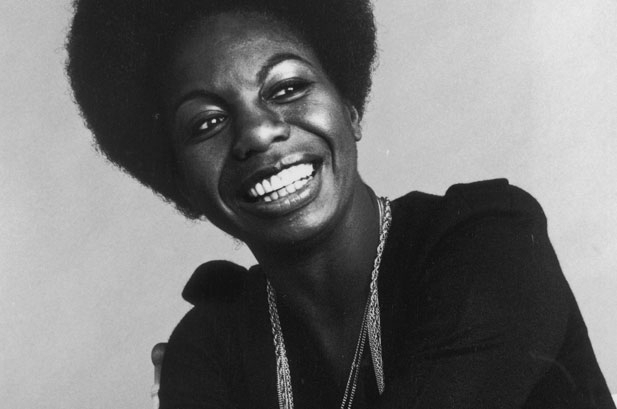 Nina Simone news is arriving in waves, with producers of a biopic courting Dr. Dre for musical assistance, Issa Rae being cast as the songstress in a Lorraine Hansberry film and the Simone estate putting a documentary into production. The documentary will be developed and produced by @radical.media, producer of the Academy Award winner "The Fog of War," the tribute to George Harrison "Concert for George" and "Under African Skies," the film about the making of Paul Simon's "Graceland". The estate and daughter of Simone will partner on the production. Estate representative Jayson Jackson brought the project to @radical, offering never-before-seen archival and performance footage of Simone from throughout her career. A pianist, singer, songwriter and civil rights activist, Simone was known as the High Priestess of Soul for her songs such as "Four Women," "To Be Young, Gifted & Black," and "Mississippi Goddam" and her interpretations of "I Put A Spell On You," "My Baby Just Cares For Me" and the music of Bob Dylan and the Beatles. She died in 2003 at the age of 70 after decades of living in France in self-imposed exile. Justin Wilkes, @radical.media's president of media and entertainment, said in a statement “Nina is right up there with Sinatra, Presley and Dylan as one of the most iconic musical artists of the 20th century. Yet, we’ve only begun to scratch the surface of her life’s story. Her family and estate will be invaluable partners as we’ve been given unprecedented access to weave together her fascinating story." Wilkes, Jon Kamen and Sidney Beaumont are producing the film in partnership with Jackson and Simone on behalf of the Nina Simone Estate. Earlier this week, in an interview with theGrio, the director, Cynthia Mort, and producer, Gene Kirkwood, of the Simone biopic starring Zoe Saldana said they have reached out to Dr. Dre to compose the score. Indiewire's Shadow and Act reported Issa Rae will portray Simone in an unconventional biopic on the life of "A Raisin in the Sun" playwright Hansberry. Numa Perrier ("The Couple") is writing the script with Hansberry's nephew Taye, and will direct.